Sancho Boots is a division Sancho Trading founded in 1947. It's one of the most well known brands in the world designing Mens Cowboy Boots. Design and quality defines their products all around the world. View our FULL range of Mens Sancho Boots here. 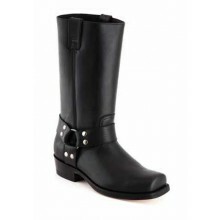 All our Sancho Shoes & Boots come with FREE UK DELIVERY.